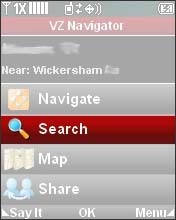 Select the Name: field then enter a name. 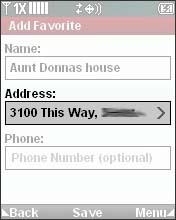 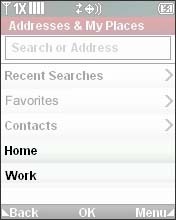 Select the Address: field then enter an address. 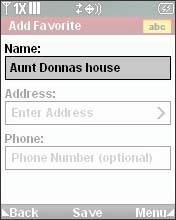 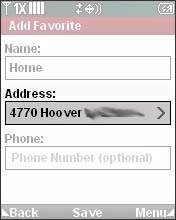 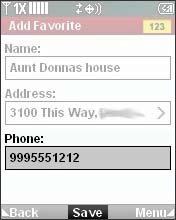 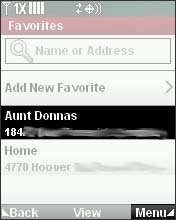 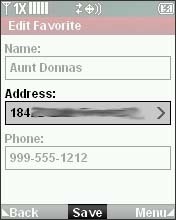 Select Phone: field, enter a phone number then select Save. 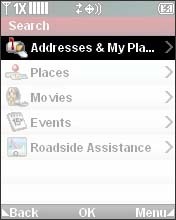 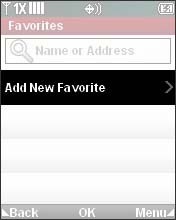 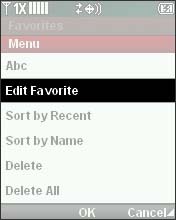 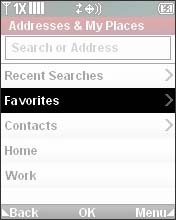 Select a favorite then press the right soft key to choose Menu. 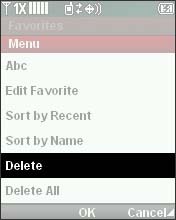 Edit the appropriate content then select Save.